I've been dying to tell you all. I told you I can't keep a secret. This almost killed me. We are so excited. And I'm so excited to share the news with you all. We're hoping for a bouncing baby boy this time....the guys need one on their team. I'm five weeks along and due on July 25! 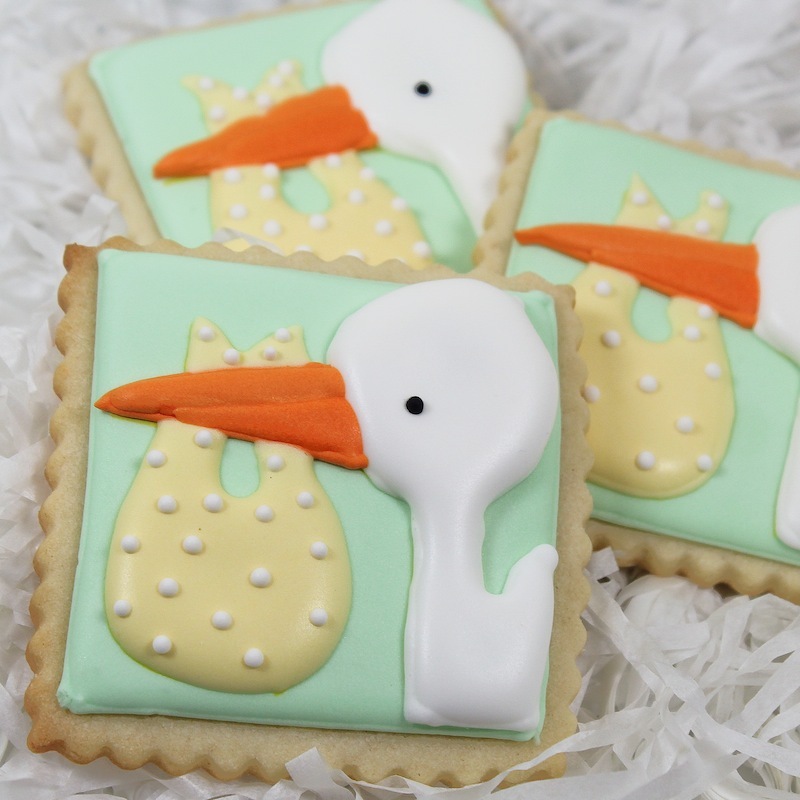 Aren't these cookies too cute for words? I made these cookies and sent one out to each family member in the mail this week. Cute way to announce the pregnancy huh? I thought so. Well I hate to cut it short, but I've got a ton of wedding cookies to finish up tonight. Just wanted to have this post scheduled and set to come out on Tuesday morning, after I know our parents received their cookie. Don't forget to stop by Frosting for the Cause tomorrow...I'll be guest posting there. Im sso happy for yall! I sure hope you get the boy u want! Congratulations... and the cookies are adorable.. That is a fantastic idea to send a cookie as an announcement..